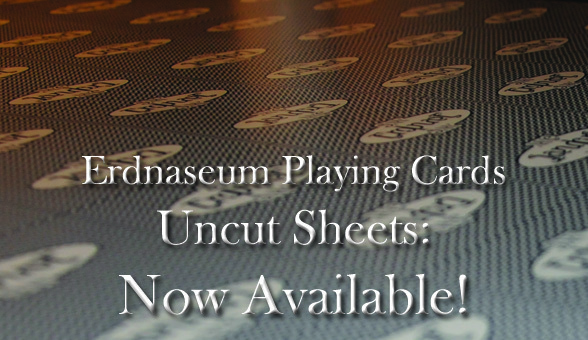 Now our sold out Erdnaseum commemorative playing cards are available in uncut sheets! They make an excellent collectible, suitable for framing, and you can have them signed by all of your favorite Erdnase brethren. At the Erdnaseum, many of the attendees were spotted collecting signatures of all those present at this historic event. 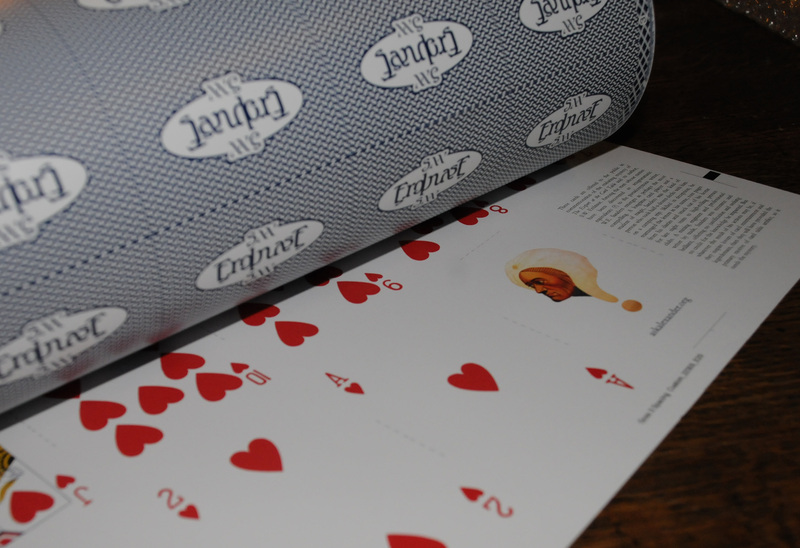 Further, the uncut sheets can be used for numerous magic related purposes as the individual cards can be cut to suit a variety of needs. For example, Guyot in the first book to describe the classic pass, mentions the wide card as being one of the indispensable tools to the conjurer. At that point in time, the quality of playing cards was such that nearly every pack was so poorly cut that you could immediately locate one card whose size was suitably larger than the rest in the deck. However, current cards are pretty uniform (although the superlative Derek DelGaudio’s sensitive fingers seem to prove otherwise!) and the wide card has fallen into disuse. You can make your own with one of our uncut sheets and breathe fresh life into this extraordinary bit of chicanery. Enjoy! They are $29.99 postpaid domestically. Shipping elsewhere is $11 for first class mail. Contact (librarian@conjuringarts.org) for other options.